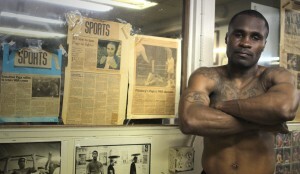 Friday night, Otis “Triple OG” Griffin fought in his adopted hometown of Sacramento, Calif. for the first time in 3 years, dispatching Ironton, Ohio’s Adam Collins in the 2nd round of their 10-round scheduled over the limit light heavyweight bout in front of a packed house at the DoubleTree by Hilton. 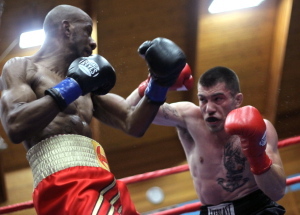 Here is a list of links you can read recaps of the entire night’s worth of action which featured well-matched undercard fights full of local talent. OPP Presents is slated to return in October, tentatively titled “Monsters Brawl”. 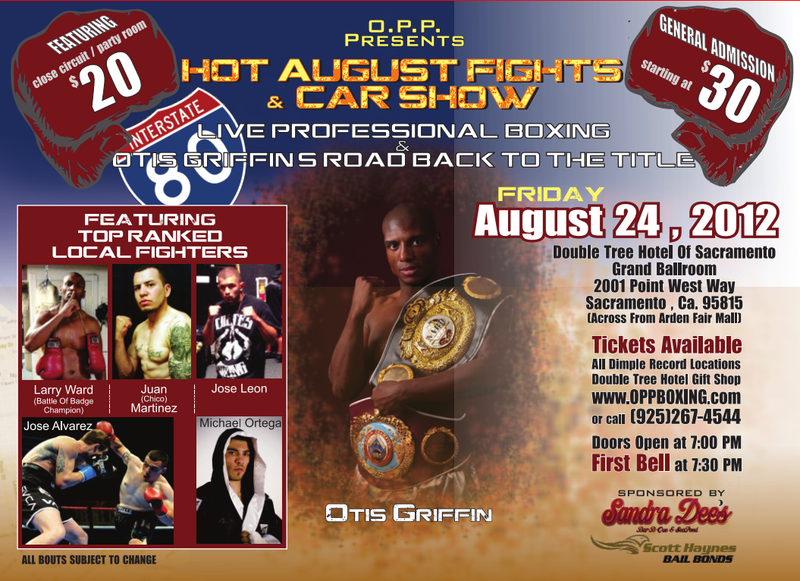 SACRAMENTO, CALIFORNIA – Perennial light heavyweight contender Otis Griffin is back fighting at home as O.P.P Presents brings “Hot August Fights” to the DoubleTree Hotel in Sacramento on Friday, August 24th. Griffin will take on Ironton, Ohio’s Adam Collins in the evening’s eight-round main event, capping a six-bout card featuring many of the area’s promising young pros. Griffin has been to the doorstep more than once in his career and has proven he can make the climb. It can be a long climb back, but you can only start with the first step. You can also make that first step memorable. 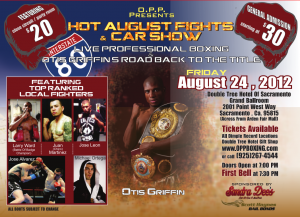 The rest of the bill will feature some of Sacramento’s promising young fighters. In four-rounders, light middleweight prospect Mike Ortega will take on Velvet Malone, John Abella takes on Misael Martinez in a super bantamweight bout, super middleweights Jose Alvarez and Gregorio Viramontes will clash, welterweight Juan “Chico” Martinez will debut against Alonso Loeza and Alberto Torres goes against Christian Silva in a pairing of debuting featherweights. Tickets for the event, promoted by O.P.P. Presents and matched by the incomparable Edward Rodriquez, are available by calling 925-787-9586 or at the DoubleTree gift shop, all Dimple Record locations as well as online at OPPBoxing.com.